As a husband and wife team we share the same goals for the future and the same commitment to what it takes to achieve those goals. Raising our family in the Elmhurst community, we know that consistency in our love, support and guidance is a must! Family makes life such a joy, and the validation of that support reflects on a daily basis. Just as our dedication to our professional partnership has brought us much success. We have a unique team from the City to the Western Suburbs and are the most dedicated teams of Real Estate professionals. 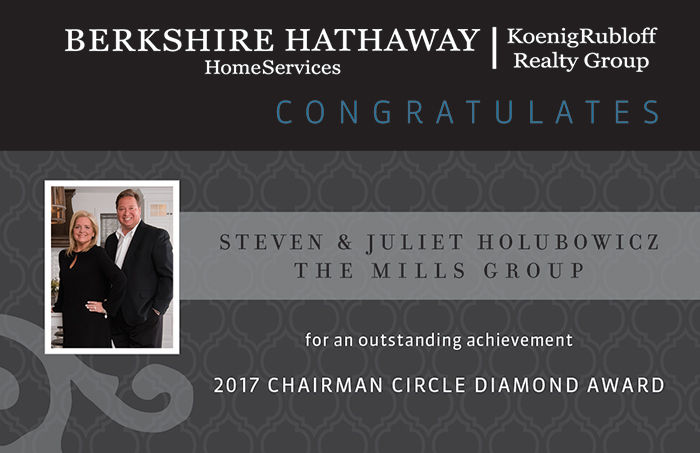 The Mills Group approaches their work with the same vigor, imagination and commitment as they do in all other facets of their lives. Our clients place us in charge of one of the most important investments in their lives and we take that responsibility very seriously! As a husband and wife team we offer a wealth of knowledge and over 25 years experience. Our services exceed helping you just buy or sell your home. We are expert negotiators, personal care specialists, superb navigators and in sync with today's cutting edge technology. Our commitment to our clientele is the key to our success, with our energetic approach to real estate being the driving force behind the realization of our clients' goals and dreams. Let our confidence and professionalism do the same for you. "Our commitment to Real Estate reflects in our everyday work or play. We have seen many different market cycles, neighborhood developments, and various deal structures. 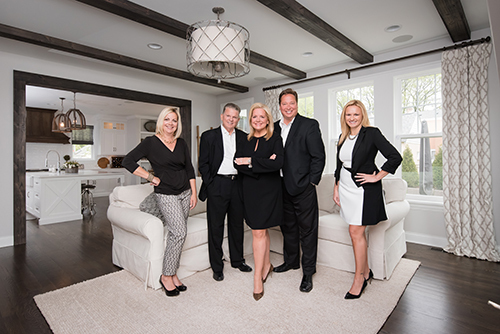 Through it all, we have maintained an excellent reputation in the Chicago land real estate market as top producing Real Estate professionals. The MILLS GROUP is a family partnership selling and serving generations in Real Estate for over 50 years. As top producing multi million dollar agents, we offer a strategic business model unlike any other brokerage team. Our team of Brokers are trained real estate experts and marketing specialists to ensure you get the highest level of luxury service, professionalism and support you need in today’s marketplace. This home offers a Fabulous Addition that expands the floor plan with a large Family room, spacious Master Suite and additional walk out basement, perfect for today's lifestyle in mind. The living space is also extended into the outdoors with professional landscaping and tranquil gardens that help offer a private oasis to the yard, covered porch and patio. Additional features include large formals, hardwood floors, fireplace, SS appliances, over-sized Kenmore Washer & Dryer, updated bath, extra wide walk out feature for basement, stone fire pit, 2 1/2 car garage w/drop down staircase & attic storage, newer concrete driveway with french drain. Plus a center town location, minutes to downtown Elmhurst, Metra train, restaurants & shopping, schools, parks and recreation.